Fixed a bug with the context menu skill tabs inside certain interfaces. Fixed a couple bugs with the Quest tab titles. Fixed crafting beyond 50 Gems. Fixed a couple of bugs with Fletching. Fixed a bug with Fletching while your inventory is full. Fixed a bug with cooking non-stackable food while your inventory is full. Fixed a bug with the teleport menu. Fixed the boss teleport menu. Fixed a bug with the teleport menu not properly displaying the teleport name correctly. Fixed a bug with Herblore not stopping at 50 actions. Fixed a bug with Herblore not stopping when your inventory is full. Fixed a couple bugs with the group slayer system. Fixed a bug with the BadKush Discord Bot. Fixed a couple of bugs with poisoning weapons. Fixed a bug with the boss event. Fixed the Frozen, Volcanic and Infernal Whip only requiring 1 Attack to wield. Fixed the chatbox messages from the Well of Goodwill. Fixed a bug with the Achievement Titles after you’ve already unlocked them. Fixed a bug with being able to unlock Achievement Titles without having the Achievement. Fixed a bug with the account save data sometimes getting corrupt/deleting. Fixed a couple bugs with the login username and in game/display username. Fixed a bug with Combat. Fixed the cursors for Fishing. Fixed the cursor for Pickpocketing. Fixed a bug with the item buff system. Fixed a bug with Dialogues and Skilling actions not resetting while in combat. Fixed the attack requirement for the Zamorak Godsword. Fixed the Magic and Attack requirement for Staff of the Dead. Fixed 85 items that had invalid Prayer statistics. Fixed a couple of bugs with the world select menu and made it a bit more responsive. Fixed a couple of bugs with the ;;triviawins command. Fixed a bug with the ;;time command. Fixed a couple of bugs while being a player NPC. Fixed a bug with Fletching while having a full inventory. Fixed a bug with Cooking. 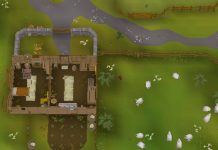 Fixed a bug with the Fishing Guild. Fixed a couple bugs with the MLM hopper. Fixed a bug with double Raid rewards not properly giving double tokens. Fixed a bug with the CTRL+Click Pray skill menu teleport. Fixed a typo on a clue. Fixed a bug with the private message color changer. Split ‘Misc’ settings in half and create a new settings tab called ‘Keys’. Redesigned the settings tabs to look more like tabs instead of just buttons. Added a new tab called Character. This contains all of the server sided command based settings such as Trivia toggle, Level up spam, Instant teleporting ect. 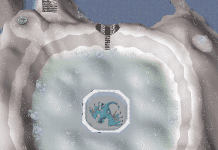 The limit before it stops you from Fishing has been decreased from 500 to 50, the same with Herblore and Cooking. Raw Manta Ray and Raw Karambwan’s are now stackable. Rewrote how the Discord Bot dispatches messages. Added a couple more emojis to Jeeves auto detection. Crawling hands now can be exchanged for 5 Slayer points each. Added 170 poison-able weapons (bronze-dragon arrows, bolts, darts, javelins, daggers, hastas and spears), with (p), (p+), and (p++). The settings manager will now reset the scroll position each time you switch a tab. Added a bunch of purchasable Titles for a total of 90 Titles. The Title manager will now instantly update the currency instead of relying on the server to do it for you. When you now purchase a new Title (or swap back to a previously owned one) it will attempt to preserve your old Title color. It will now show if you’ve already purchased a Title. It will now no longer allow you to add friends who haven’t created an account yet. When adding someone to your friends list, it will now add them with their aliased username instead of their login name. This is the start of us completely decoupling in game usernames from login usernames, eventually when this is finished you’ll be able to completely rename your character while preserving all of your character’s data. You can now no longer place Cannons or Fires at home. You can now no longer place Flowers or Gamble at home. The Cavalier mask will no longer make your head invisible. You can now toggle your player title to be a Prefix or a Suffix with the Title Manager. You can now set a custom title from the Title Manager. ::players is now in alphabetical order. You can now set a custom color for your player Title. Added a cursor for all ‘open’ item actions. Added a new cursor for releasing bank tabs. Added a new cursor for the bank exchange option. Added a cursor option for laying the hunter traps. Added a cursor for Bonfires. Added a cursor for catching Implings. Added new cursors for all of the Enchant spells. When you examine an item, it will now also show you the price of the item(you can opt-out of this via the ‘Character Settings’ tab or by using ;;itemexamine. You will now get a chat box alert when you can vote on login and whenever you’re able to vote whilst being online. Split the quest tab from one interface into 4, so you can now instantly switch between all 4 tabs without having to wait for any server processing. Adjusted the EXP rate from Tomes. You can now cut down Teak and Mahogany trees. Reduced the gem stall to be only 2 ticks between clicks instead of 10. Friends list, Ignore list and Private messages all now support capital letters in the usernames. Added an ;;errorlogs command to automatically open up the error log directory. Made low latency mode use even less bandwidth. Updated the clanchat interface slightly. Cut Onyx are now stackable. Burned Monk fish are now stackable. You can now completely customize your F-Key keybinds. Made the Achievement interface look a bit better. The Friends and Ignore list has been reset for the Dynamic Username update coming. My apologies to anyone who has been effected by this . All teleports with the world man and CTRL+Skill click can now be repeated with the ;;back command. Added ;;previous as an alias to ;;back. Added the opt-in setting of CTRL+P, this will allow you to hot-key teleport back to a previously teleported location. While in combat, your interfaces will now close. 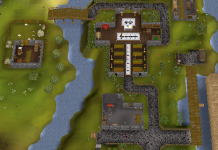 Reworked all of the Agility courses with @Glaxon, they are now 100% one-click actions. Changed a bunch of items Pray bonus to give what they’re supposed to. Merged Steve into Vannaka’s ‘get-task’ option and removed Steve. Merged Nieve into Gunthor and removed Nieve. Removed the sign post at ;;home and moved Vannaka there. Butterflies now show up on the minimap. Changed the Pray bonuses for Armadyl, Holy Wraps, Holy Symbol and Holy Sandals. Nerfed the experience you get while tanning hides. Adjusted our failsafe protocols for whenever theres a stackoverflow. Instead of force shutting down, the server will attempt to recover and gracefully stop the nulled tasks/disconnect the nulled players. Heavily reduced the initial client memory usage. Fixed a bug with the display options interface not properly updating. Impling Jars and all varients of Implings IN Jars are now stackable. Added a new right-click option for smelting Jewelry, it works the same as the Jewelry furnace. Adjusted the message when you try to add a friend with your friendlist being full. Adjusted the third person camera and made it less taxing while toggling. Added an opt-in censor to help make BadKush a bit more SFW. Added a brand new settings Menu with tabbed menus. Next articleKeybinds, Hunter and More!